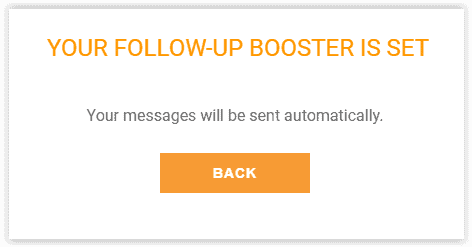 Hello there, after you uploaded a new product to the follow-up email sender, you can create messages. Recently Amazon Changed their setting, and now shoppers can unsubscribe from seller’s messages. It is Highly recommended to send the first Email after the delivery and request an honest review. (The shipping status is the most accurate, we recommend using “Shipped+” instead of “delivered” status. 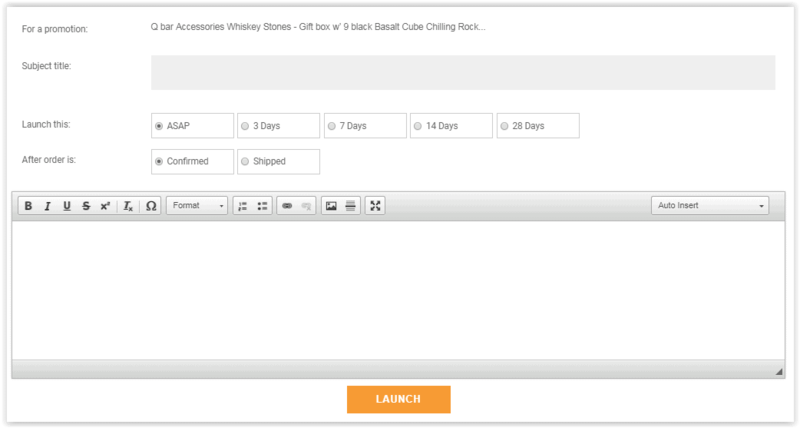 Once you are done adding the content, click on “Launch” and your follow up email will be sent to all of your buyers on Amazon, at the time you schedule. Hi. I’m creating my email campaign and I wanted to know if can have a two email campaign instead of only sending one email. is fo, can you guide me on how to do it? Thank you!